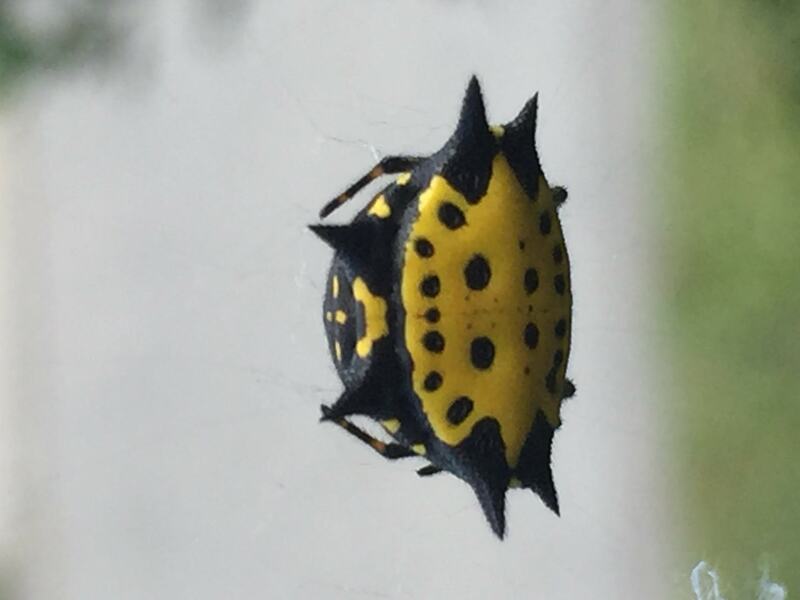 This is a Spiny Backed Orb Weaver. Pretty common in Texas as with most orb weavers. I have seen them in Yellow, Red, Brown, and White. Orb weavers make beautiful elaborate webs and can at least be generally identified as an orb weaver even if you don’t know the type of orb weaver it is.